Here’s something freaky about Win10 that seemingly comes up more often by accident than by design. Based on periodic OMG posts on TenForums and answers.Microsoft, and my own experience, it strikes from time to time. 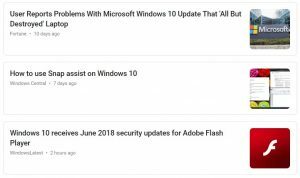 It rests on a three-key sequence: Ctrl, Winkey and the letter “C.” Struck together, they toggle a Win10 display between grayscale and normal color. That means if the display is in normal color mode (as it will be by default), this causes the display to switch to black-and-white. For those who don’t do it on purpose (or, as I read in at least one case, whose cat treading on the keyboard did it for them) it seems like something’s gone wrong to leach all the color out of windows. Because Ctrl+Winkey+C toggles Win10 display to grayscale mode, you need only repeat the toggle to return to full color. 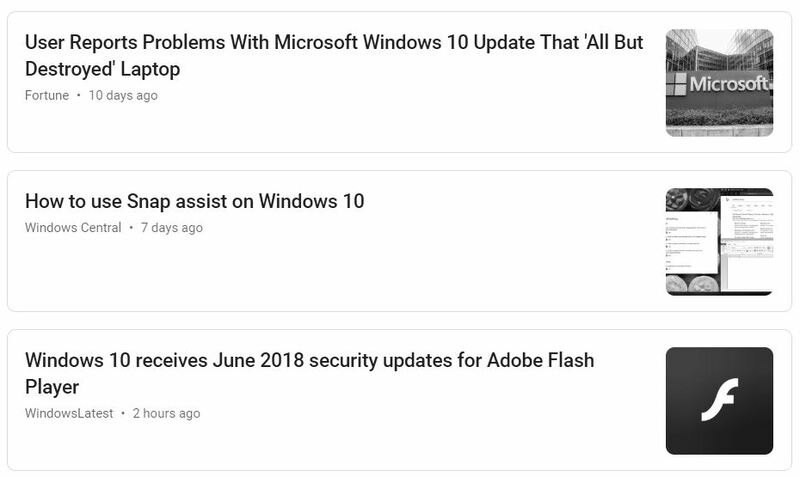 This behavior comes enabled in Windows 10 by default. But it’s easy to reverse (as long as you remember the secret key combo). 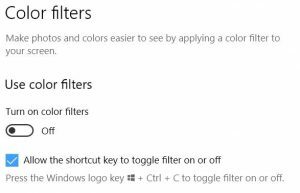 You can also turn it off by typing “color filter” into the Windows 10/Cortana search box. 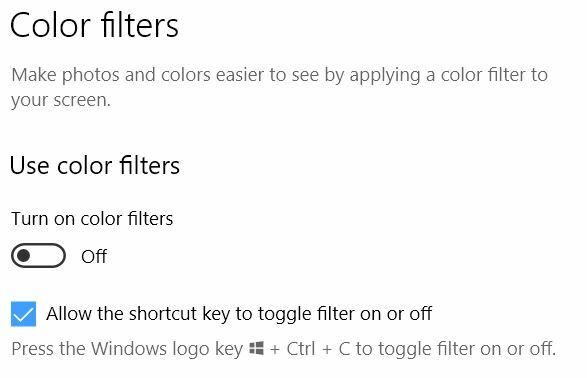 This opens the “Color Filters” page in Settings. There, you can turn color filters off if they’ve been mistakenly turned on. The checkbox labeled “Allow the shortcut key to toggle filter on or off” can also be disabled, if you like. A slider and a checkbox control the presence or absence of color filters, and the efficacy of the three-key-sequence. For those bitten by this phenomenon by accident or mistake, unchecking the checkbox prevents an unwanted recurrence. Instead of remembering the key sequence that returns your system to normal, you must instead remember the Color Filters page. There, you can manage color filters manually. It’s kind of an interesting trade-off, isn’t it? Personally, I’m sticking with the three-key sequence myself.